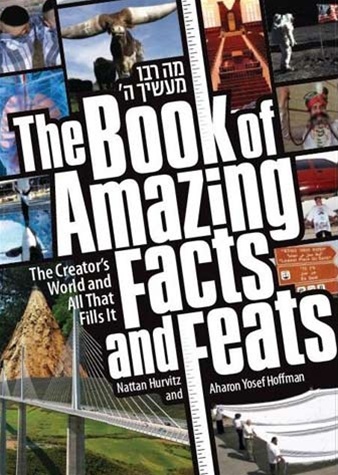 Step aside, Ripley's Believe It Or Not, and make room for a book that really makes a Jewish jaw drop! How big is the world's largest tallis? Which letter appears most in Tanach? Which animals can fly without wings? What is the driest place on Earth? Faster than you can say, "Wow! ", these facts and feats will dazzle and amaze you, with full-color pictures to enhance the experience. This book attests to the might and wonder of our Creator's world, giving a rich and colorful picture of the remarkable things that surround our everyday existence.